Are you looking to sell your eco, electric, hybrid, or plug-in electric car online in 2015? We offer a comprehensive free advertising platform for you to sell your car online today. Simply click register and use the VRM (vehicle registration mark) to upload the vehicles details as well as a description and you will be on your way to selling your car online today. We are going to offer you our top 10 tips for selling your car online in 2015. 1) Prior to advertising your car, ensure you research thoroughly. Use online resources to find out how other people selling similar vehicles advertise their cars online. Make sure you have looked up all the relevant information from your vehicle so you can compare other cars and ensure that you advertise your vehicle at the correct price. You need to understand the market so use websites that will tell you the used car guide price. Evaluate your car as a buyer would, remember you are a private seller, you’re not a dealer and therefore the price you’re looking for should be based on you being a private seller, as you are not offering any guarantees, any trade associations, any MOT certificates or other vehicle checks that may be completed by dealerships. 2) Once you’re confident you have agreed a fair price by using online comparisons print this information off. You may need this when the potential buyer comes over and starts looking at the vehicle and starts questioning you on the price of the vehicle. You can use this information as back up to ensure that you have advertise this car at a fair price. The number one thing is not to use ‘best offer’ BO or ‘or near offer’ ONO. What that does is it signifies on the behalf of the seller, weakness and opens the door for the buyer to take control of the situation. 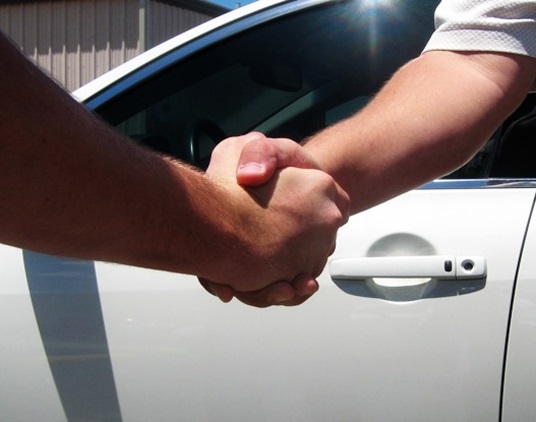 If you’re selling anything especially a car you need to make sure that you maintain control of the situation. Using BO or ONO will give this control to the buyer, and mean that they will offer you a lower amount for the vehicle and mean that you are not achieving the full potential price for the car. 3) When you go ahead and advertise your vehicle, descriptive and detailed advert are very important. We always recommend giving the potential buyer as much information as possible. This will allow them to decide firstly whether they are interested in the vehicle and secondly they will not be surprised, if when they come to see the vehicle it is not how they expected it to be. You must disclose everything that you seem wrong with that vehicle, be open and honest. This could include scratches or damage to the paintwork or body, or minor mechanical defects that you are aware of. It could be issues not resolved from your last MOT. By being open and honest you are preventing a potential buyer from highlighting and picking out imperfections with the vehicle and thus trying to reduce the price that they want to pay for the vehicle. You will also reduce the number of people that enquire and look at the vehicle and then do not make an offer on the vehicle because they have seen something that they weren’t expecting to see. 4) Use the vehicle registration mark VRM to allow the advertising platform to automatically retrieve all the car details, this will ensure that the details are from the DVLA database that is accurate and correct. Bear in mind that some websites allow you to input additional information that will not have been pulled from the database automatically. So make sure all, or as much of this information is complete. An example may be that you will need to enter the car’s mileage, the service history of the vehicle, the number of previous owners of the vehicle, details of any repairs damage that the vehicle has had. Other specific details related to the specification of the vehicle i.e. gross weight of the vehicle may be required. 5) Ensure you thoroughly clean your vehicle internally and externally and that you use dashboard polish and polish the vehicle outside prior to taking photos. Ensure that the photos you take are up-to-date and recent do not use old photos that you have of the car as these will not represent the car in its current condition. We recommend you use a minimum of seven photos of your vehicle, start from the front, then both sides and the rear of the vehicle. Then take additional ones of the driver’s cockpit, the rear passenger seats and the boot. You can also take additional photos of the wheels, especially if they are alloys, the engine to showing the condition and cleanliness of the engine and any other specific details you wish to showing on your car. This could include a stereo system, spoiler, electronic mirrors or any other additional features your vehicle has. 6) Use a video of your vehicle and embed it into your advert, most advertising platform now allow video content. Videos are better than static pictures, people respond to them better as they can see the vehicle clearly. Bearing in mind that some people travel long distances to buy cars. A video can save you and them significant time, as someone who may not be interested in your car because it is too far for them to come take a look may watch your video and decide that it is the car for them. 7) Once you’ve created your advert copy and paste the URL and share it on social media using things like Facebook and Twitter. You can share your advert with friends and family members telling them to also share. This will give your advert far greater exposure. 8) Be a good salesman, ensure that you answer the phone and respond to emails to your advert. Make sure you manage your leads efficiently and get back to people promptly. People are impulsive when looking for vehicles and if you don’t answer the phone first time round is very unlikely that they are going to keep coming back to you. People looking to buy vehicles generally have the funds and the cash available immediately and are looking to buy something fairly quickly from their initial enquiry. The time from advertising to selling the vehicle could be as little as one hour to one week. Do not put your advert live, when you know you will not be available to take those calls and arrange those appointments. Generally adverts get the most responses when they are new and fresh, as usually adverts on websites are ranked with the newest adverts in the top positions. 9) When arranging appointments try to do these during daylight hours so it shows your car off in the best possible way and allows the buyer to see vehicle properly. Try to avoid doing them when the weather is bad, especially during heavy rain. Leave sufficient time between appointments around 45 minutes is recommended.So you don’t have two potential buyer at the same time, as this could get awkward and uncomfortable for everyone involved. If you need further help feel free to contact us at the details provided, and we can give you further guidance and advice with regards to advertising and selling your vehicle online. To use our platform for free to advertise your car for FREE, follow the link. Watch this video guide of how to sign up and upload your vehicle today.